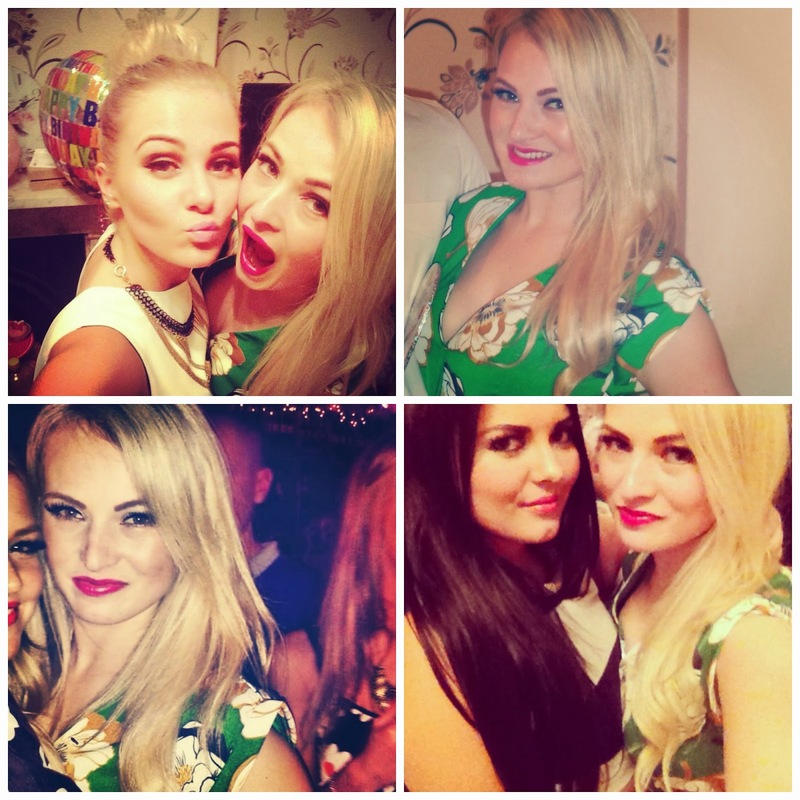 Here is the last of the Mac lipsticks I got for my birthday (I know, I'm a lucky lucky girl!) Check out my previous reviews of Impassioned & Candy Yum-Yum! As you can tell I have a major love for lipsticks.... especially pink ones! 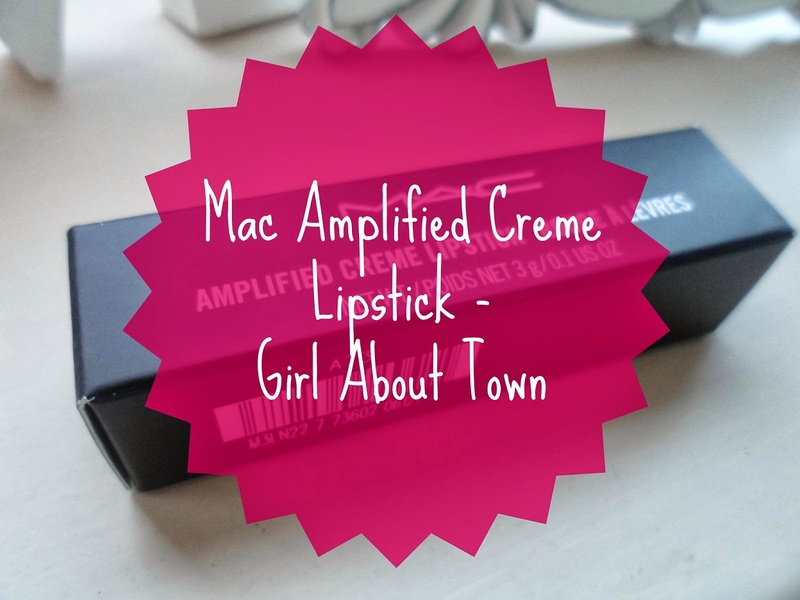 Another Amplified Creme from Mac here, a gorgeous creamy formula (my fav!). I have been eyeing this up honestly for months and months and now I finally have it I'm actually annoyed I hadn't bought it sooner because it is a beaut! This shade reminds me slightly of a Mac lipstick I bought years ago called Trimming Talk, which was discontinued, (yup I was devo!) just a little less vibrant - it is a gorgeous deep fusicha shade. As you can see I've already worn this one - couldn't wait sorry! Although I probably should of cleaned it up a bit before giving it a photoshoot - opps a daisy! I do look after my make-up I promise! This is such a wearable colour - daytime, nighttime even bloomin bedtime - I will be wearing this! It's a little darker than the other shades I featured recently but for me this is a must have colour! If you're looking to purchase a new or even your first mac lipstick I would highly recommend Girl About Town! The pigmentation as always with Amplified creme's is perfect for me - just one swipe and you get a flawless thick opaque colour (like below) - what more could you want? Girl About Town is £15 and I think well worth it - I've found a pink that is so wearable and great for my skintone, a product I'd buy over and over again! Have you tried Girl About Town? I've been looking for some bright shades to add to my collection, since most of mine are darker, this is getting added to my list! Gorgeous colour and it looks great on you! This is one of my all time favourite lipsticks.. it's such a gorgeous colour!! Such a deep, vibrant shade! That color looks FAB on your!